Xiaomi has finally unveiled its first phone under the new budget sub-brand, Redmi – the Redmi Note 7. The device’s headline-making feature is a 48 MP camera sensor, which the Chinese manufacturer has been teasing for months. The Redmi Note 7 should succeed the Redmi Note 6 series of devices. It is equipped with some impressive features, including an upper mid-range and capable silicon, USB Type-C and runs Android 9 Pie with MIUI 10. Announced by the company’s CEO Lei Jun earlier today, the newest and first member of the Redmi brand features a 6.3-inch FullHD+ display with a new screen cutout referred to as a waterdrop notch. The display is protected by Gorilla Glass (unspecified). 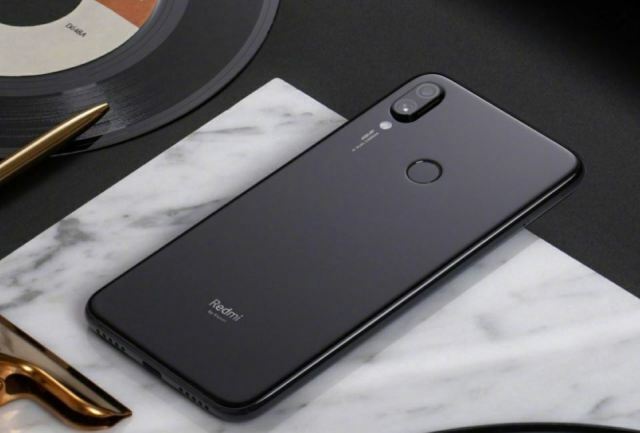 Other specifications include a healthy 4000 mAh battery (all Redmi Note series phones have traditionally packed mammoth cells), and for the first time, the Redmi Note 7 (and probably later variants) is juiced up with a USB Type-C. Xiaomi has not mentioned the specific fast charging technology in tow, but since the Redmi Note 7’s chipset is the S660, it probably supports Qualcomm QC 4.0. that should fill it up in under two hours. Speaking of horsepower, the Redmi Note 7 is powered with the aforementioned Snapdragon 660, which is the same chipset found in one of our 2018’s favourite devices, the Nokia 7 Plus. There are three memory options for the device: 3/32 GB, 4/64 GB and a 6/64 GB. Whichever memory combination you pick, there is still support for microSD memory cards (although you will need to let go of the second SIM slot). Now let’s talk about the good stuff: optics. The front camera is a 13 MP sensor, and at the back is a dual module: the primary sensor is a 48 MP f/1.8 that is complemented by 5 MP depth sensor. This is the highest number of megapixel count Xiaomi has ever put on a phone. Of course, all these numbers mean nothing at the moment (we are yet to see sample images), but we will have the full story as soon as reviews start going up in the course of the month. Xiaomi says the base model of the Redmi Note 7 will start at $150, which should translate to about N60,000 plus taxes should the manufacturers bring the device in Kenya. We are actually pretty pumped about the price, the camera and the fact that the device is powered by a capable, S660 processor.